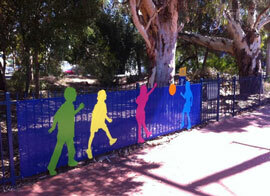 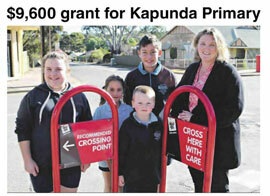 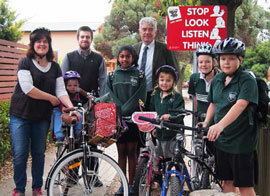 Reynella Primary School students have been giving their new bike storage area plenty of use after successfully securing Way2Go Wheels Hub funding for the facility, supporting students to make active travel choices. 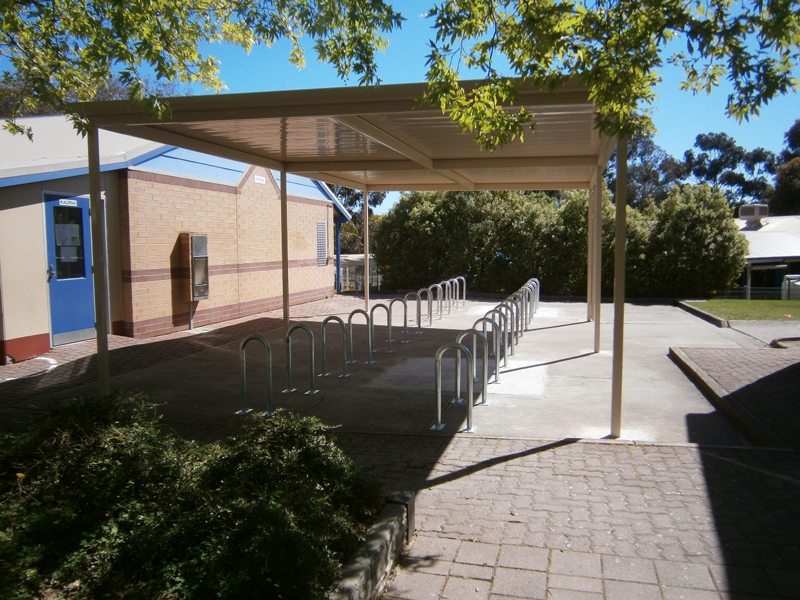 The new parking space stores up to 48 bikes under shelter and complements the three existing indoor scooter storage racks. 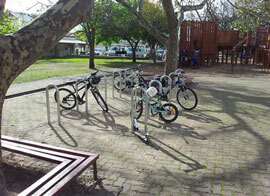 The school recognised that bike storage was an issue for students, with many saying that it prevented them from riding to school. 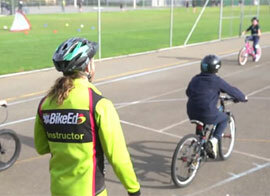 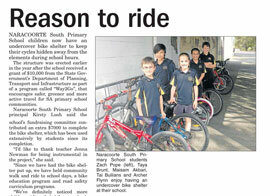 To support students to make active travel choices, the school applied for funding to build a Way2Go Wheels Hub to improve their current bike storage. The old bike storage facility had no shelter and splintering wood was causing damage to bikes. 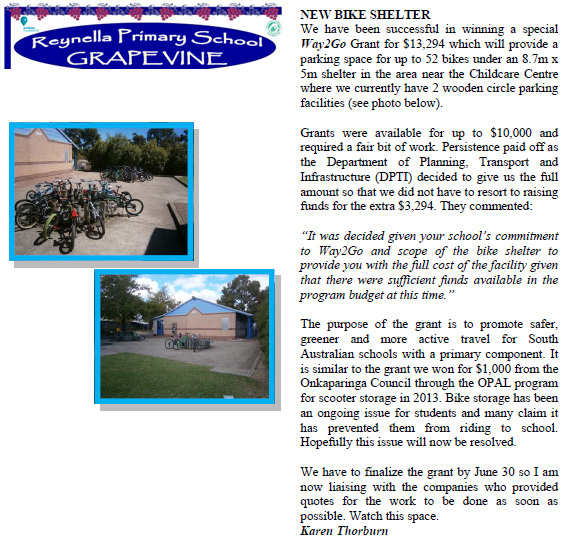 Using the $13, 294 grant provided by DPTI, the school increased their storage capacity to provide a new covered parking space for up to 48 bikes. 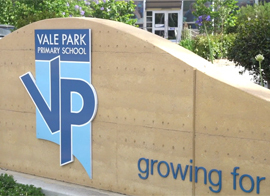 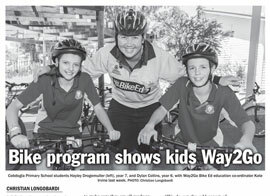 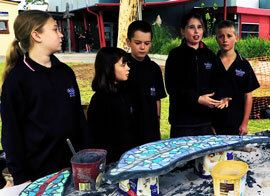 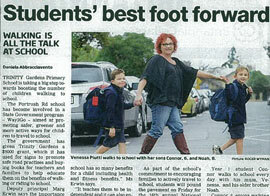 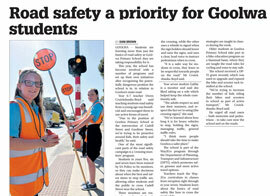 Reynella Primary has established a strong culture of active travel, incorporating the Way2Go curriculum into classroom activities, years six and seven participating in Way2Go Bike Ed every two years and the whole school participating annually in Walk Safely to School Day and Ride2School Day. 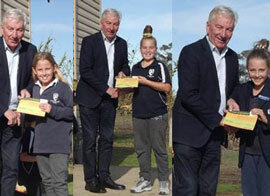 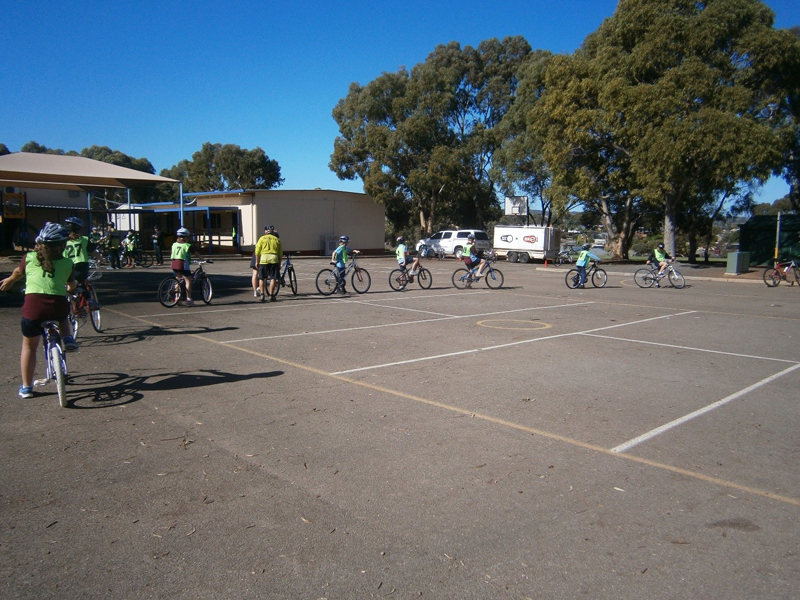 The school community also organises an annual cycling ‘Tour de Reynella’ event. 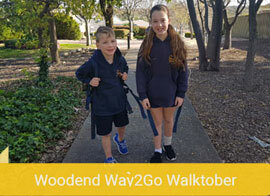 The undercover Way2Go Wheels Hub was completed in October 2016. 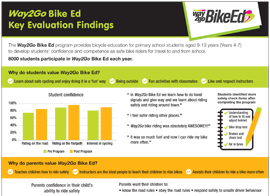 Since October 2016 when the undercover Way2Go Wheels Hub was completed the number of students cycling has soared with a recorded increase of 6 times more bikes stored in the Way2Go Wheels Hub each week when compared to the old facility. 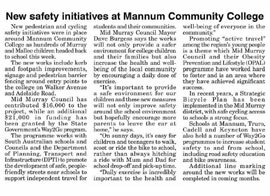 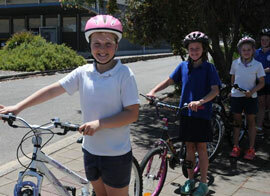 Reynella Primary School continues to promote cycling to school through weekly bulletins, promotion at assemblies, SRC meetings and posters in classrooms. 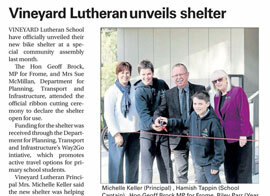 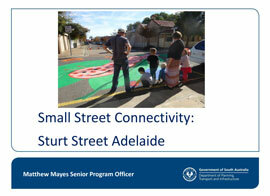 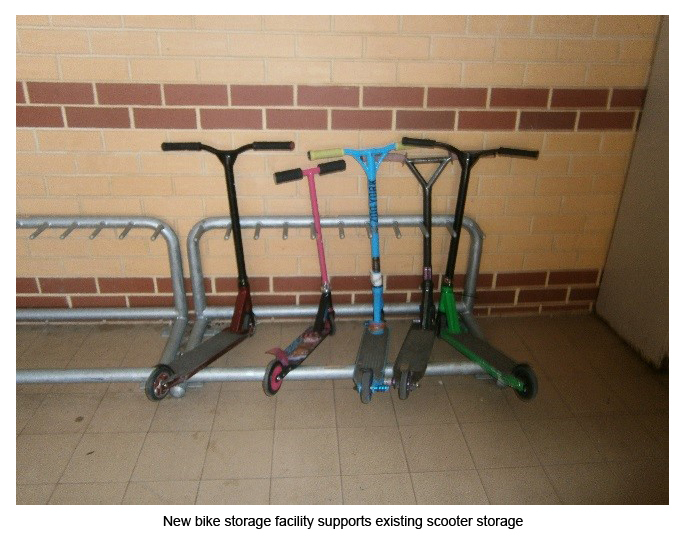 Student leaders have encouraged all student’s to ride to school and use the new bike storage facility.